At home in both classical and jazz idioms, saxophonist Tim Powell is an active and established freelance musician in the Baltimore/Washington Metropolitan areas. He has performed with the Baltimore, National, Alexandria, and Altoona symphony orchestras as well as Frank Sinatra Jr., Gloria Gayner, Ben Folds, the Four Freshman, Frankie Avalon, Mauro Marcondes, Origem, the Mike Kamuf Little Big Band and the Steve Fidyk Big Band. 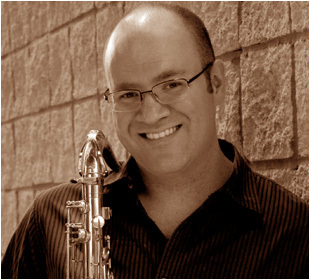 Tim Powell received his Bachelor of Science in Music Education from Penn State University, where he won numerous scholarships, competitions and the concerto competition. He received his Master of Music in Jazz Studies and a Doctor of Musical Arts is Saxophone Performance from the University of Maryland, College Park. The focus of his doctoral studies included electro-acoustic music for saxophone as well as contemporary saxophone sonatas. His teachers have included M. Dan Yoder, David Stambler, Chris Vadala and Dale Underwood. Powell is currently on faculty at Rowan University, Montgomery College and the University of Maryland, College Park teaching saxophone and a variety of classes.